This ethnic necklace set beaded with a grand pendant in semi precious stones & studded Polki stones, makes your collection exquisite. 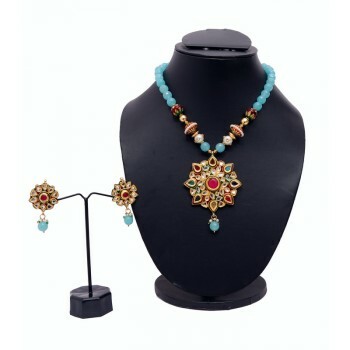 It has a Turquoise string which holds the magnificent pendant. 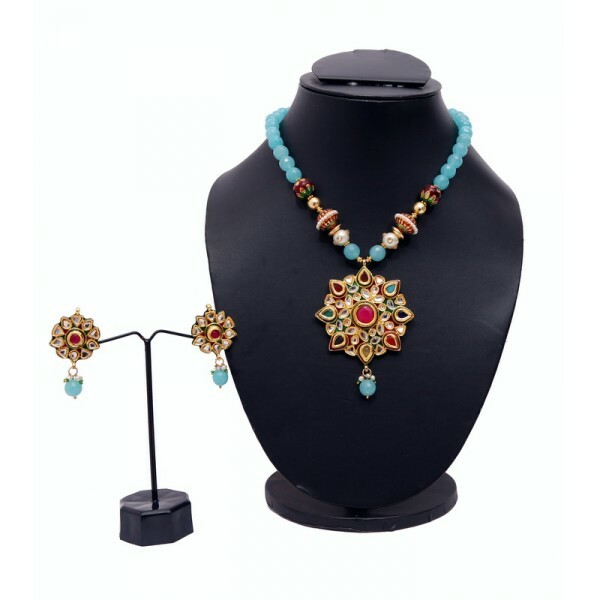 The earnings complement this beautiful neckpiece.